Husky weight distribution kit for trailers not exceeding 800 lb tongue weight and/or 8,000 lbs GTW. Comes equipped with the standard hitch bar- 2" square, 5-5/8" rise, 2-3/8" drop and 12-3/4" length. 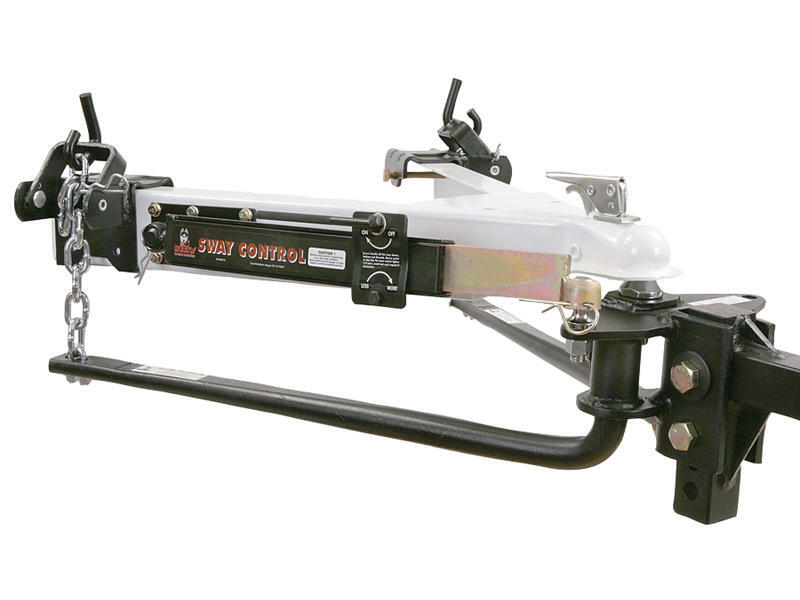 Also included is (1) friction sway control unit and a 2-5/16" ball. Ready for safe towing right out of the box!